Due to a lack of clarity in the judicial decisions, in 2009, the Street Vendors Policy 2004 was revised as the ‘National Policy on Urban Street Vendors 2009’. The revised policy was not legally binding and made little progress on the matter of street vendors. In 2010, the Supreme Court directed the government to enact a law regulating street vending and thus, the Street Vendors Bill 2012 was drafted. The Bill was passed in both houses by February 2014 and became the Street Vendors (Protection of Livelihood and Regulation of Street Vending) Act, 2014. This Act was drafted with the legislative intent of protecting the livelihood rights of street vendors as well as regulating street vending through demarcation of vending zones, conditions for and restrictions on street vending. The Act now governs over all matters in regards to the rights and duties of the street vendors in India. It also provides for confiscation of goods that are being sold by street vendors to be cataloged properly. 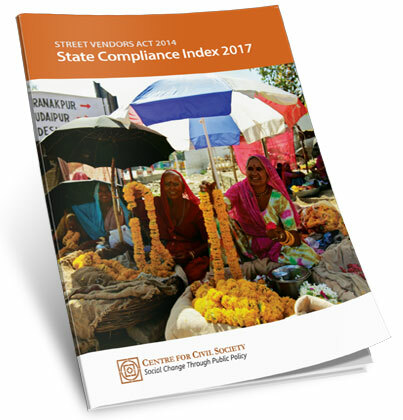 It is in this context that Centre for Civil Society – a Delhi-based think tank decided to take up a study of the implementation of 2014 Act across India and come up with a matrix and an index to rank states. We filed applications under the Right to Information Act, 2005 across India, made more than 250 phone calls to expedite the RTI reply process, compiled court judgments and referred to other secondary sources such as news stories. the policy implications for improving inclusion in schools. 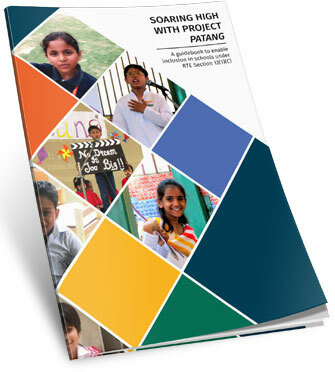 The guidebook with details of the programme also highlights the struggles and successes of the intervention. It provides concrete steps to help schools create an inclusive environment for students especially those from the EWDS background. NITI Aayog’s effort towards reforming Indian Medical Education is a step long overdue. There is a broad consensus across the Parliament, Executive, Judiciary and State Governments to replace the thoroughly corrupt, utterly inefficient and a decrepit Medical Council of India (MCI) with a new commission that meets the aspirations of 21st century India. MCI has neither fulfilled the objective of improving access to medical education nor setting the high professional and ethical standards that the complex healthcare sector demands from the doctors. It has become a textbook example of ‘regulatory capture’. The age old socialist mindset towards regulatory institutions continues to plague many sectors in India, of which MCI is only one example. NITI Aayog’s radical shift in regulatory philosophy towards liberal and market oriented one can be considered as one of the big bang reforms of the current government. A shift in approach from inputs based norms and standards to the one based on outcomes is definitely going to create a lasting impact in quality of medical education and is expected to set the precedent for other streams of education too. The National level entrance and exit exams will ensure that merit prevails over discretion and admissions are handled in a transparent manner. Removing entry barriers for private investors by doing away with the infamous ‘non-profit’ tag will address the challenge of access and helps meet the huge demand for medical education in India. Currently, around 11 lakh students chase an odd 55,000 seats and this has given some unscrupulous colleges a free hand in exploiting the artificially induced scarcity. Largely in consonance with the proposed bill, we would like to bring few specific issues to the Aayog’s notice to help realizing the true spirit of the bill. The possible impact of RTE on the closure of private schools is a critical policy issue, especially when the parents have deliberately chosen the fee-charging schools over the free government schools. Therefore, the study deserves closer review and analysis, which is the objective of this detailed assessment. Instead of doing a newspaper column, we decided to do a full review of their research processes, methodology and overall soundness of research. The basic purpose is not so much to challenge their conclusions but to assess the research that serves as a basis for arriving at those conclusions. We embarked on our mission: We read the study once, twice, thrice. We thought we must be missing something—this is a study produced by India’s largest education foundation. After all those readings and discussions, we came to the inescapable conclusion: the quality of the APF study is alarmingly poor. It is hard to believe that the most well-endowed education foundation in the country, which also runs an education university, would consider this study worthy of publication. Moreover, the CEO of the Foundation, who presumably has read the study, would consider it appropriate to ridicule all other research and experiences, and even declare them as almost lies, on the basis of this study. It is really a sad day for research, for the quality of public debate and for the quality standards of APF. Punjab Education Foundation in Pakistan. The essence of good governance is good laws. For rule of law to operate, laws must be well-written and well-coded. Laws must be precise, principles-based, and should stand the test of time. Statues that are obsolete, redundant, repetitive, or inconsistent only create chaos for the masses and provide unnecessary powers in the hands of implementing agencies, weakening the social fabric and incentivising corruption. During the campaigns for the 2014 General Election, BJP candidate Shri Narendra Modi promised the electorate that on being elected, he would make a sincere attempt at statutory legal clean up. The commitment was that for every new law passed, 10 redundant ones would be repealed, and that in his first 100 days in office he would undertake to repeal 100 old, burdensome laws. The Bhartiya Janata Party led National Democratic Alliance Government tabled the Repealing and Amending Bill (Third) Bill, 2015 in the Lok Sabha, recommending revision of about 180 obsolete laws. It was also the commitment of Shri Ravi Shankar Prasad, that this exercise of weeding out antiquated laws would be a continuous process. After the success of Centre of Civil Society’s Repeal of 100 laws Project (in partnership with NIPFP Macro/Finance Group and Vidhi Legal Policy Centre), wherein 100 Central laws were suggested for repeal, of which 23 were formally included in the Repealing and Amending Bill, Centre for Civil Society has launched its Repeal of laws Project- Phase II, via its report that includes laws that warrant immediate repeal in Delhi, on the grounds of them being redundant, subsumed by newer legislations, or because they pose an impediment to growth, development, good governance and individual freedom. We believe that while statutory reform is only the beginning of a wider process of legal overhaul, it is perhaps the most important. Without sound laws, India will not provide an enabling environment, neither for citizens, nor for entrepreneurs. Repealing pointless legislation is the first step in this direction. For the year 2015, a similar report was prepared by us for the state of Delhi. For the year 2015, a similar report was prepared by us for the state of Maharashtra, wherein on meeting with them, the State Government acknowledged and agreed to repeal 19 of the 25 laws that were presented to them for repeal. This paper presents case studies of two tribal villages - Mendha Lekha and Jamguda - successfully running forest-based bamboo businesses under the community forest rights provisions of Forest Rights Act (2006). We have documented the issues faced by the villagers in claiming community forest rights, issues faced in harvesting and sale of bamboo, and business practices adopted by both the villages. Tabled by V. Narayanasamy, Minister of State for Personnel, Public Grievances and Pensions, in Lok Sabha in December 2011, The Right of Citizens for Time Bound Delivery of Goods and Services and Redressal of their Grievances Bill, 2011 was a proposed Indian central legislation which lapsed due to dissolution of the 15th Lok Sabha. This paper enumerates the provisions of the Bill, its obligations and its organizational structure and further enlists areas of dichotomy or possible loopholes after a systematic review of the bill. A comparative analysis of provisions of the Act as implemented across the 19 states is then taken up to find out differences to the approach of the act in various states. The paper further examines how internal and external models have lacked due to incidents of absenteeism, corruption and outreach and assesses the challenges faced by the upcoming e-governance models. The paper examines the current state of funding of school education in India and identifies the inefficiencies and arbitrary nature of allocation of the system and suggests an alternative per-child funding model. The paper argues for the model on the basis of school choice and decentralized school administration, which would result in schools competing to be efficient in spending to attract/maintain students. The paper draws from such existing models in countries like Canada, Netherlands and UK while using the San Francisco School District's model as a detailed case study to further strengthen the argument for such a per-child model of funding.